Chef Paul Kahan was already a Chicago farm-to-table pioneer when he opened Blackbird — the first restaurant in the now-expansive One Off Hospitality Group — in 1997. A keynoter at FamilyFarmed’s first Good Food EXPO in 2004, Kahan was our 2016 Good Food Chef of the Year. We interviewed him prior to our 15th Anniversary EXPO (March 22-23 in Chicago) about the past, present and future of farm to table, and his excerpted remarks are below. 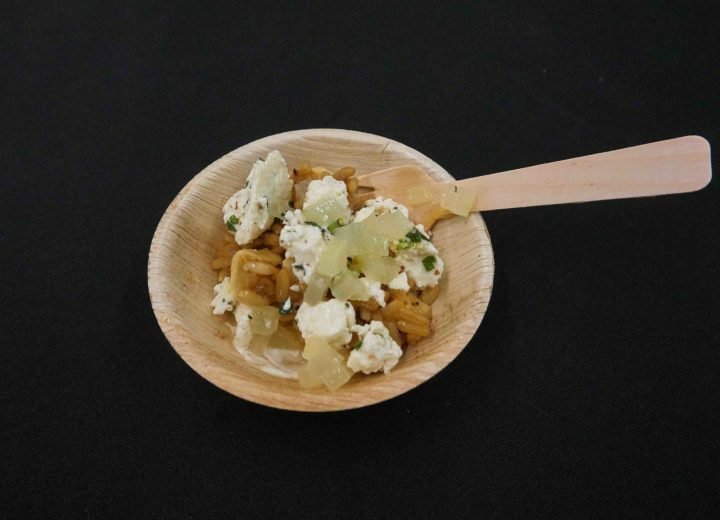 Read more about this topic in our recent Good Food News article highlighting chefs and thought leaders at the 2019 Good Food EXPO. FamilyFarmed: How did you become such a strong advocate for sourcing from local farmers? Paul Kahan: I’ve always been very passionate about product and I think that defines what we do as a restaurant group for the most part… I was searching all over to find great product and it was very challenging… At that point the landscape was pretty bleak. Kitchens that I cooked in in the 90s, you’d get baby squash from overseas, you’d get celery root from France. There was not a lot going on in this country, with the exception of the West Coast, when Alice Waters [of Chez Panisse in Berkeley, California] started out there. There were a few chefs in Chicago, most notably Rick Bayless; the guy I worked for at the time, Erwin Dreschler; and a few others who were really passionate about the market. But the key word is a few others… At this point we’ve come a long way, but I know talking to a lot of local farmers that their numbers are down. The new generation of chefs is doing things a little differently. Every movement has its ups and downs. Paul Kahan: We buy from a large portion of those farmers and most of them deliver directly to us. That article was a bit of a wakeup call in some regards, but I also feel there was some poor journalism… We’re all very proud of the Chicago food scene. Could it be better? Of course. Do chefs in this city cook with a lot of heart and soul, and very differently from chefs in New York and San Francisco? Absolutely. They didn’t speak to any of those things. All of us who are avid supporters of the farmers markets and local producers, it’s almost cliché in my mind to mention every farmer on your menu in this day and age. It’s just the way we operate. If we can get local product, we get it. Obviously, there are certain times of the year when we can’t. That being said, I think we’ve made huge strides toward a better food supply. FamilyFarmed: Do we need to go back to talking about farm to table more? We buy produce from Nichols Farm & Orchard [in Marengo, Illinois] year round, he has a lot of good stuff in storage still and grows flats of things that we like to buy. So we do local year-round. That happened for the first time five or six years ago. Some of the farmers realized that they could store product and they could grow things in the winter and make money off of it. FamilyFarmed: Is having these one-on-one relationships with chefs and restaurants part of the solution by farmers navigating the difficult economics of farming? I’ve always said the way we do things, we appeal to the 1 percent or the 5 percent, not the 95 percent… Some of the most popular restaurant groups in the city really have no platform of product, where the product comes from. A lot of them. If you look at the big ones at the top of the food chain in this discussion, it’s all about bottom line. Bottom line does not allow you to buy organic product or buy from local farmers except in really, really small instances. That would be the biggest market share of restaurant consumers in our city… People as a whole want to eat something that makes them feel good and not gain weight, and the majority of people really don’t care where it comes from. FamilyFarmed: Yet the people who do care tend to care deeply. Your book, Cheers to The Publican, highlights the farmers and other producers from whom you purchase ingredients. It comes down to death and taxes. Our society is so driven by money, it’s all about the almighty dollar. I think if you can show people that they’re going to save money on health care if they eat well, it makes a lot of sense. FamilyFarmed: Most in the Good Food movement believe that our society needs to instill Good Food values in our nation’s children. 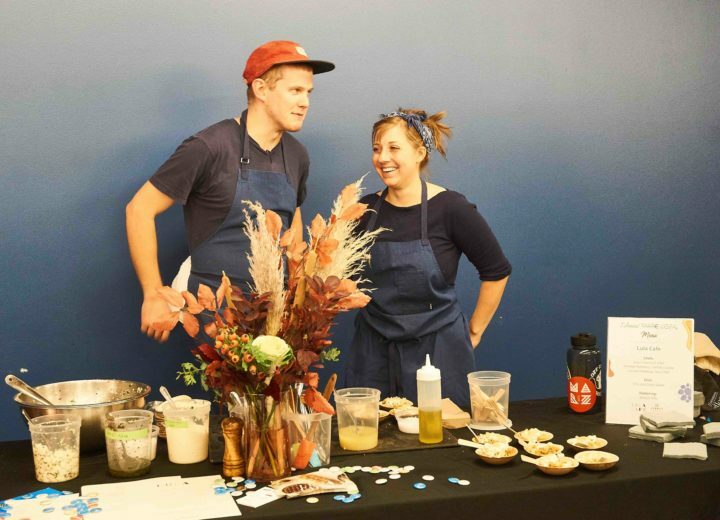 You are one of the leading Chicago chefs who are co-founders of Pilot Light, the nonprofit that works with Chicago Public Schools to integrate how food fits within its students’ overall curriculum. 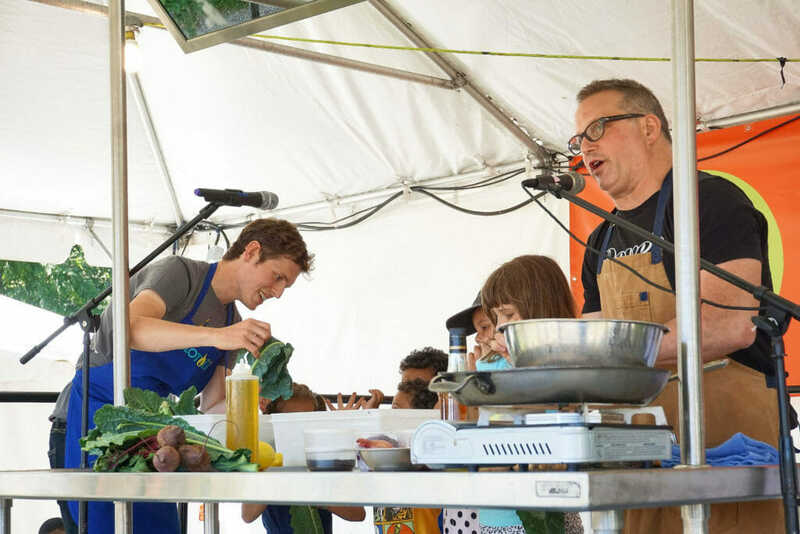 Paul Kahan: Our idea that food should be an integral part of the curriculum in Chicago Public Schools, in all schools for that matter, has continued to grow… People in high places are starting to get behind the organization. The amount of schools we’re in has grown, the amount of teachers that we’ve taught to teach the program and are involved in the program has grown… We actually have chefs teach a cohort of teachers, we have videos of different demonstrations and we have chefs that visit classrooms and cook in the cafeterias, things like that, but really it’s about the teachers getting excited about these tools, using food to teach math, science, social studies and health and wellness. Everything that kids learn in school has been really instrumental, and children get really excited about it. It’s working and it’s growing, and hopefully it will become an integral part of education in the city of Chicago and hopefully in the whole country. 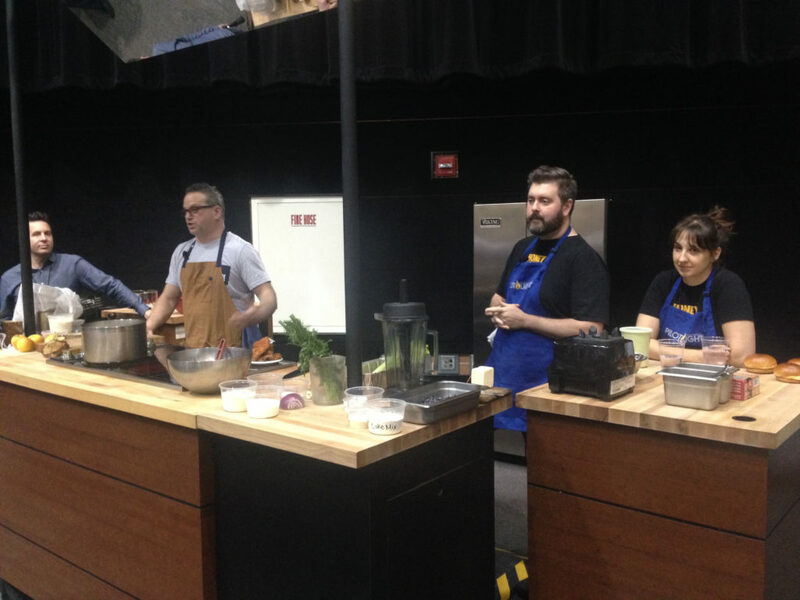 FamilyFarmed is grateful to Paul Kahan for his life’s work elevating the quality of food on the Chicago restaurant scene and sourcing from producers who represented Good Food values, both locally and beyond, and for his help establishing the Good Food EXPO as the Midwest’s first and biggest annual event focused on local and sustainable food. If you want farm to table to become more the rule, please consider supporting FamilyFarmed in our efforts to build a better food system through your tax-deductible donations. 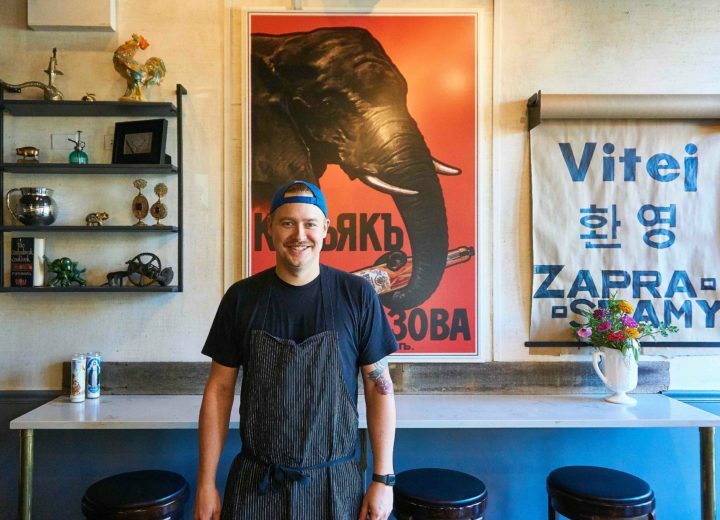 Paul Kahan was featured at the first Good Food EXPO in 2004, not long after he and his One Off Hospitality Group partners opened Blackbird, the restaurant that jump-started the redevelopment of the West Loop meatpacking district into Chicago’s Restaurant Row. 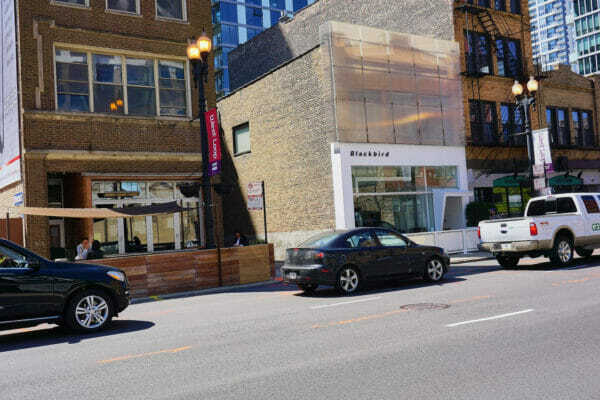 To the left of Blackbird in the photo is Avec, another of One Off’s popular restaurants.